NEW Coast streetscaping work has brought concerns from a resident who fears drivers won't see crossing pedestrians in time to safely react. 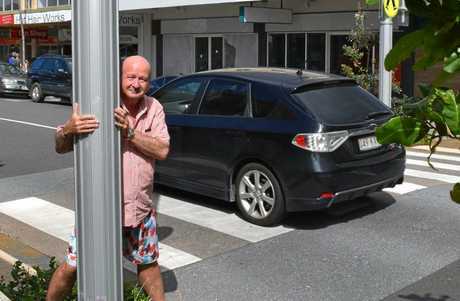 Caloundra man Paul Seto believes new light poles, trees and shrubs in Bulcock Street cut down a line of sight between pedestrians and drivers. It comes as the council prepares to this month start work on stage four of its Bulcock Street Streetscape Project. Mr Seto singled out the recently upgraded intersection with Minchinton Street, where there are four crossings in close proximity. "The result of these idiotic designs is that cars approaching any of the crossings have zero distance clear view of people before they step out onto the crossings," Mr Seto said. He said there was a "false crossing" at the Minchinton Street roundabout, without markings, but with a pavement construction leading people to cross. "It must be a real trap for visually impaired people using sticks." He also had concerns about planter boxes and their potential to obscure children and people in wheelchairs from view. "What is most terrifying is that no one in council seems to have noticed. "They have approved the design, construction and then paid all the invoices, without anyone noticing that it all creates an extremely dangerous place." He said he hoped the next stage of works would not lead to more street furniture being installed in lines of sight between drivers and pedestrians. However, Councillor Tim Dwyer said the council refuted Mr Seto's claims as unfounded, incorrect and inflammatory in tone. 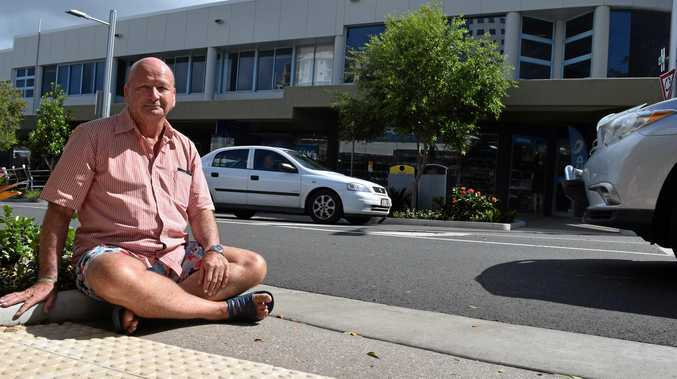 "Pedestrian safety is of high importance and council continually reviews projects, investigates public queries and makes amendments to infrastructure if required," Cr Dwyer said. "The new crossings are designed with appropriate clear sight lines based on the speed limit." Cr Dwyer said all formal pedestrian crossings were raised to alert motorists and slow vehicles and provide easier pedestrian access. He said other design elements including low shrubs signified to motorists they were in a highly pedestrianised main street area and should drive accordingly. "All crossings within the project area meet relevant standards and are approved by a qualified engineer. "Council continually reviews and trims plantings to ensure adequate sight lines for motorists and pedestrians. "Being a main street precinct area, council performs a higher level of maintenance to the planted areas on Bulcock Street." He said the streetscape project was designed in consultation with local businesses and the wider community. "It seeks to achieve a welcoming, vegetated street that provides an ease of movement for both pedestrians and motorists and accommodates street closures for events and just as importantly, encourages business patronage."